CAPE COD HOUSE – What do you have in mind when you first hear about cape cod house? It is true that cod is a fish from The USA. However, we are not going to talk about some weirdly, fish-shaped home. It is one of the most well-liked and recognised styles in The US. If you look at it closely, you may guess that it is inspired by the British colonists. Well, you are not mistaken, since they came to the place they had dubbed “The New World” back then and had started residing in the area. The style of this type of house is effortless, in a rugged architecture and almost primitive. The pitched roof is gabled and there is a rectangular-like footprint. Even the modern version of the cape cod house still relies on two functions: efficient heating and no complicated construction. In other words, this works wonders for winter times. 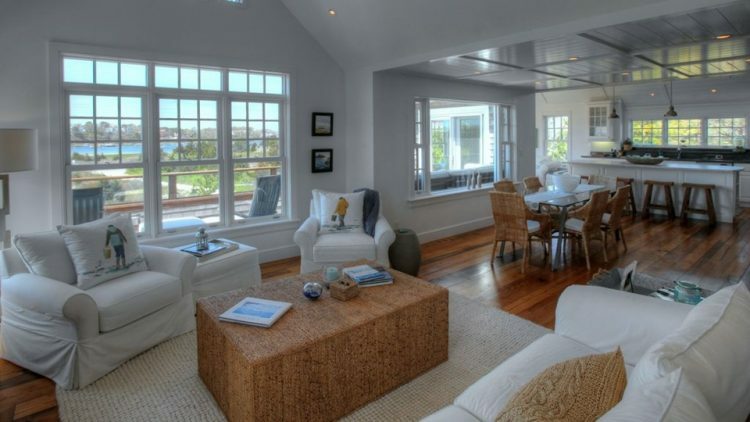 What is a Cape Cod House? 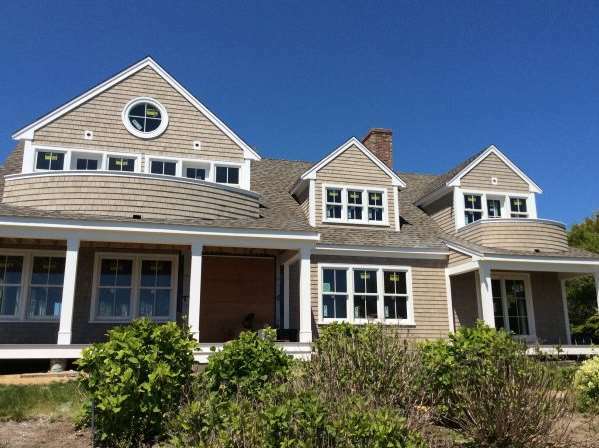 To be more precise, what is a cape cod house? Its existence can be traced all the way back to the late 17th century in America. The half-timbered houses of most English people back then had been the main inspiration. However, regarding the stormy “New England”, they had to make some adjustments. Reducing them by size, the houses only had one or one and a half story. Reverend Timothy Dwight was the first one who came up with the term “cape cod” when he went to Massachusetts, sometime around the 1800s. They were mostly constructed of wood and left either half or unpainted. To make them look simpler, there were hardly any ornaments added to the exterior of the houses. Started as the simple houses of the Puritans, the cape cod architecture later changed so much, from only one or two rooms, the houses, later on, had a living room and a centre hall inside. Kitchens were added on the outside for fire-safety precautions. Other two distinctive styles for these Puritan houses were the hardwood floors and most of the interior – if not all – painted white. Of course, this colour often represents purity. This is probably one of the most common cape cod designs that you can see in most of The States. The number of the story (two floors) follows the original model of the old English homes before the British settlers and colonialists moved to the “New World”. What is unique is the choice of colour combinations. The outlines and window frames are white, while the exterior was painted mild blue. The door is red. 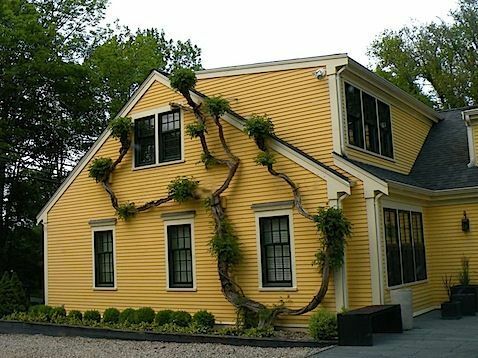 If you have ever dreamed of having a classic American house, perhaps this cape cod architectural style can make it come true. 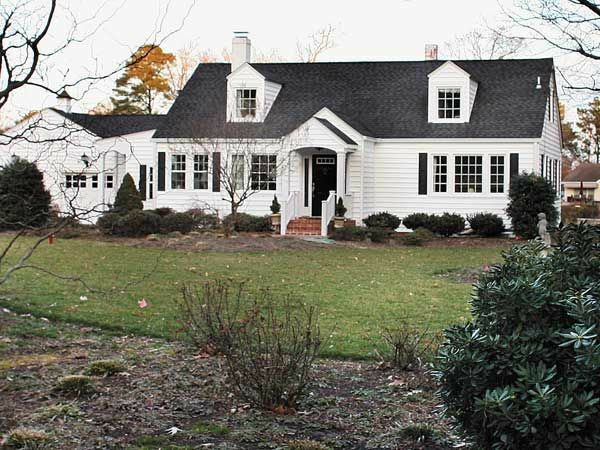 With two stories and three dormers, this home looks elegantly classic. The front porch with some white steps in the middle seems large enough for a tea party. Yes, tea party shall remind you of the British people’s habit at 4:00 pm. The white paint is inspired by the style of the Puritans. Do not forget to include the cape cod bathroom ideas in your cape cod house floor plans. They are as essential as the rest of the building. 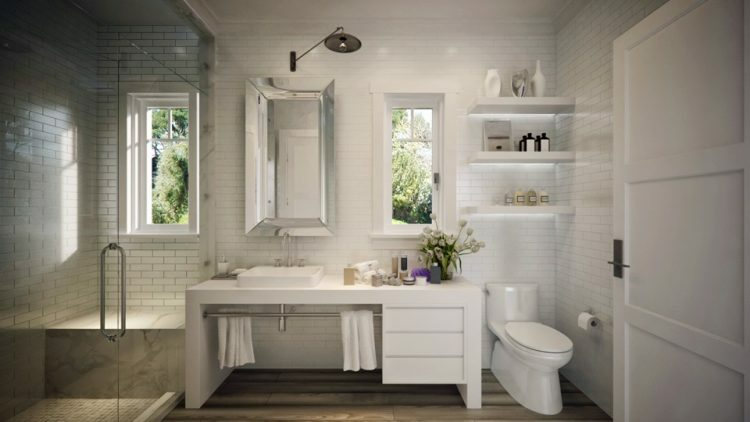 The size of the bathroom does not matter, as long as you know how to have it set and decorate. You may combine white walls and dark wood, a sandpapered floor for a nice combination. The modern cape cod house no longer follows the simplicity of its original design. Back in the late 17th century, there were mostly only one or 1.5-story houses. 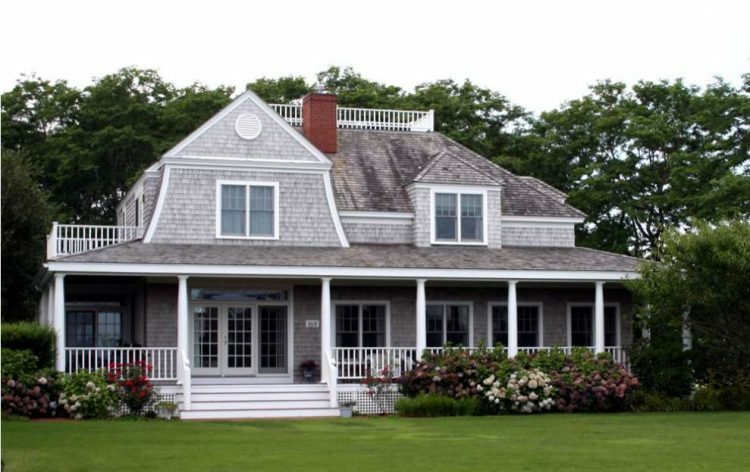 Nowadays, houses like this cape cod beach house have three stories, the front and the back doors, and plenty of windows. The original classic style that is still used is the white window frames and the brown exterior. The door can be either blue or red. 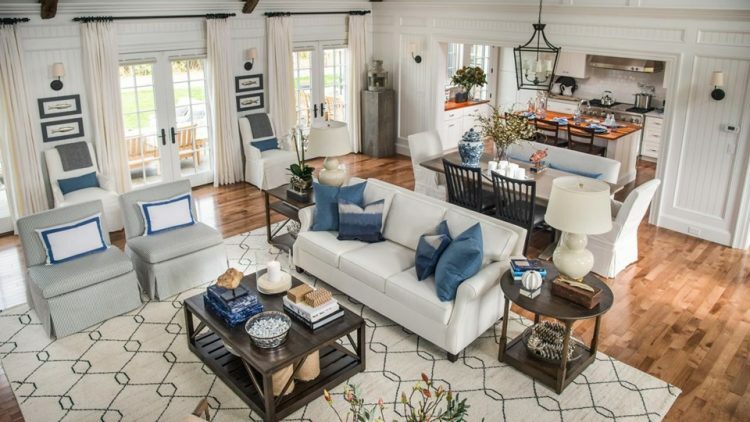 What about the cape cod decor? Not only the exterior, the combination of white paint on the walls (and most furniture pieces) with hardwood, sandpapered floor works wonders as a cape-cod house interior design. Neutral colours are always the safest choice. You avoid the hassle of mixing up and matching the right furniture with the interior, for example white couches, rattan coffee table, rattan chairs and white dining table. 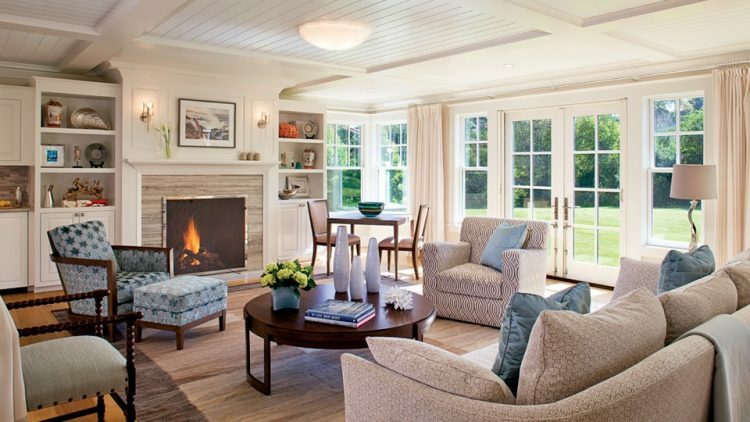 A fireplace in the living room is essential as part of the cape cod house characteristics. Back in the late 17th century in The USA, the fireplace functioned as sufficient heating, especially during hard winter. It is still used for that, although with a more modern touch. Besides using the old red bricks, the fireplace can be painted white to match the furniture pieces and the walls in the living room. Cape cod house colours often consist of something neutral, like white, black, brown, and grey. In some cases, dark blue, dark army green, or maroon also count, especially for the doors. Still, if we take a look at this photo, the interior of this house again consists of white and dark brown. Philosophically, it is like combining nature (brown, from the hardwood floor) with purity or innocence (from the white paint and furniture). 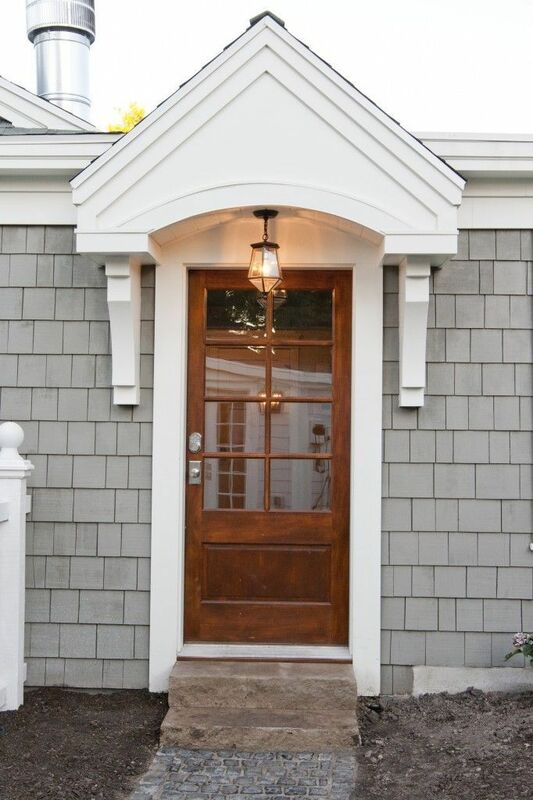 Most cape cod front doors are either black, dark blue, maroon, or even brown. If the door is also white, the owner usually wants to combine the original design with a touch of something more modern. The black and white exterior here is the typical design of some New England townhouses back then. This is the simple design that never goes out of style. In some suburban American houses, the cape cod front door is dark army green. It is still combined with white exterior and made out of wood planks. A touch of modern luxury can be seen from two pillars that support a small roof that leads to the front door. Do not forget the stone steps and a brown welcome mat. A tiny cape cod house is still one of the most favourites among small American families. The size is ideal and the maintenance is not too hard. It is usually 1.5 or two stories high, with two dormers on top and six windows. The entrance door is right in the middle of the house, with two pillars that support its gabled roof. Regarding the exterior, it is usually painted white. 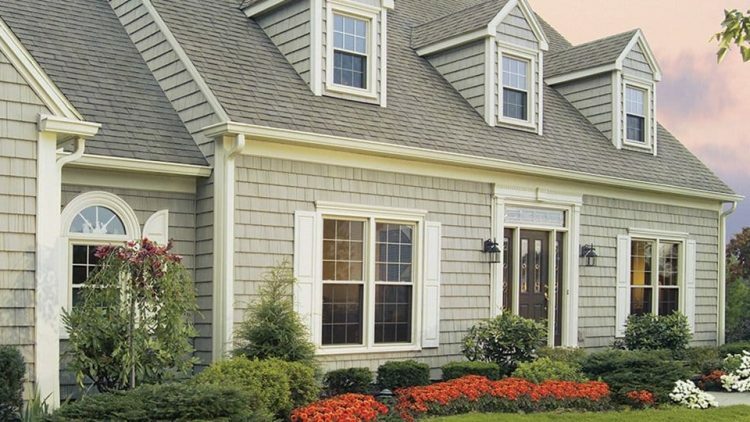 Some cape cod’s styles for the home exterior are big in size and classic in the appearance. From this picture, we can see that the combination of neutral colours (in this case, black door and roof with white walls) still work wonders. If you live in the northern part of the USA, you get to see many houses like this. They are often built in areas near the woods or the coast. 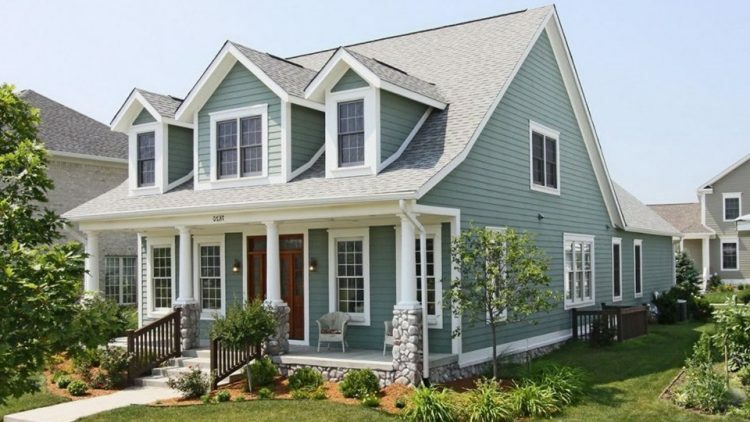 When it comes to cape cod house colours, white is not the only reliable one for the exterior. In this picture, you can even use three shades that create a nice grading to one another – from white to light grey, to darker grey. This combination is far from dull because it gives an warmer feeling – especially during winter. The size is also perfect to invite your relatives over on holiday. A cape cod house for sale? 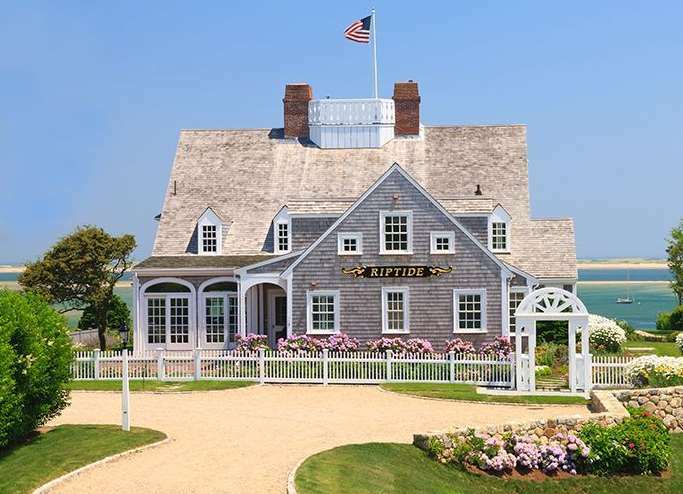 If you were the owner of this house, you would probably say: “No way.” This is one of the best cape cod house plans because the style combines the original classic with the modern type. The classic consists of neutral colours like white outlines (for the pillars and window frames), light brown walls, and dark brown roof. The modern side is the big one. 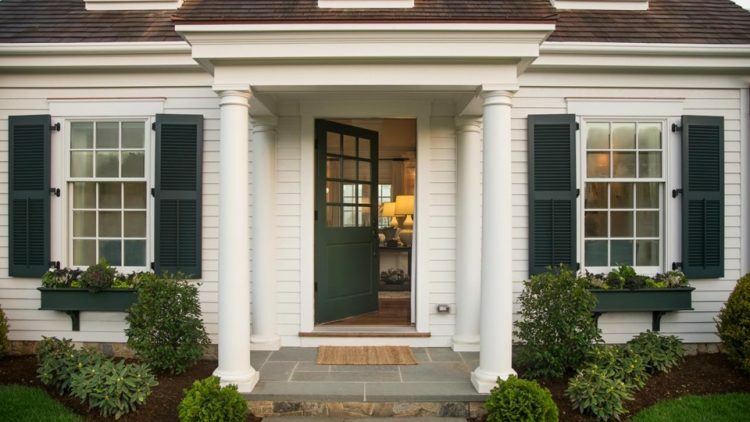 This cape cod house with a front porch shows just how some people still need to have a nice, welcoming porch. Its greenish grey exterior makes the house look well-blended with nature. Imagine having your tea-time with your guests on the front porch while watching the sunset in the sky. Other than that, you can even relax there on sunny weekends. Who says that the designs for the cape cod house interior have to stick to simple, neutral colours too? That is not always the case, and this picture is the proof. To create a sense of gentle warmth and softness, go with pastel colours. Perhaps this style feels more feminine to some, but this also radiates comfort. You do not need to use a lot of light inside the house. 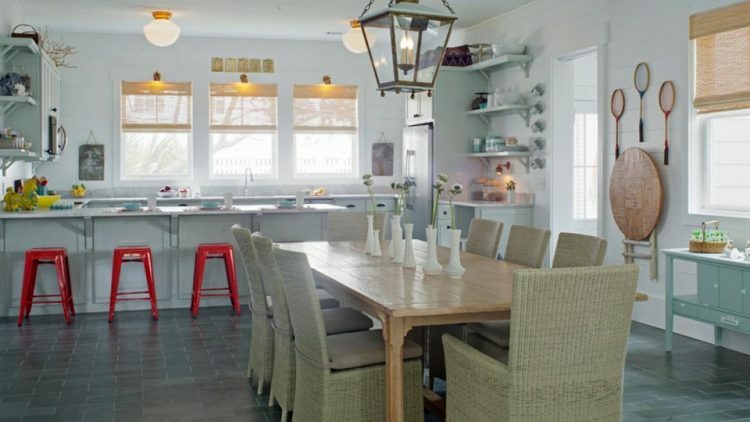 What about the cape cod kitchen design? As you can see in this picture, the kitchen is quite big. There is a well-polished, hardwood dining table under the old-fashioned lamp and a countertop table by the kitchen sink. If you feel that everything is too bland (thanks to the neutral colours there), you may add some red stools in the kitchen. What is so beautiful about having a cape cod lake house? First of all, every day feels like a holiday. You get to go fishing, swimming, or even parasailing. You can even ride a motorboat. The best materials for this house are natural ones. Woods, rocks, and bricks make this house a solid building by the lake. Do not forget the hardwood floor for simplicity. 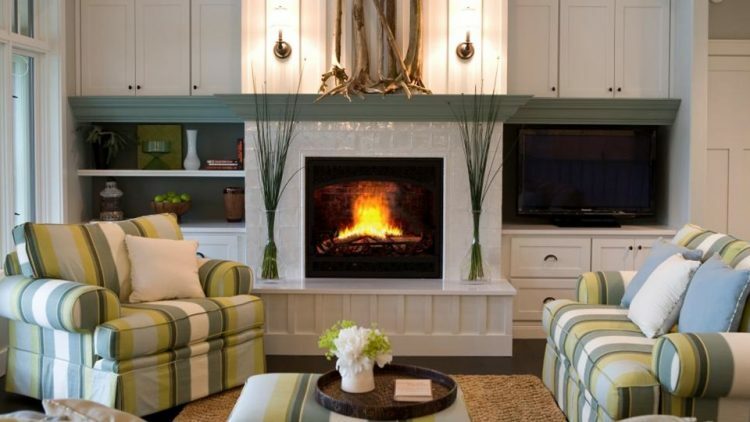 The fireplace in a cape cod living room design does not always have to be the central point. You can still have it in your living room, but make it as part of a large, white cupboard. If you would like to have more sunshine in, have a skylight or two on the ceiling. In the summer, you can have more warmth within. What if you live in a tropical area, but you still want to maintain the original style of a cape cod living room? It will look silly with the fireplace, but no worries. You can always have the picture of it on one of the walls in the living room. You can decorate the rest of the living room in crimson furniture and paint the interior. Neutral colours like brown hardwood floor, white walls for the interior, and grey furniture are beautiful. However, if you feel that this cape cod style for its interior design is too bland, then add a little something to spark more colours. Dark blue pillows on the couches will surely do the trick for you. That tone will give you a sense of coolness in the living room. 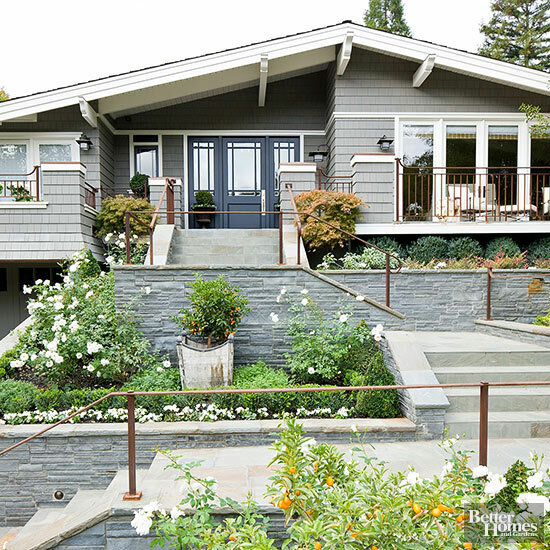 When it comes to the modern version of a cape cod house style, this picture can be the champion. The exterior is well-painted in dark grey, but the house is quite big. The white window frames, pillars, and front porch railing make the house look less dark because of the bluey-grey exterior. The garden is also well-trimmed, which makes the whole area around the house look neat. 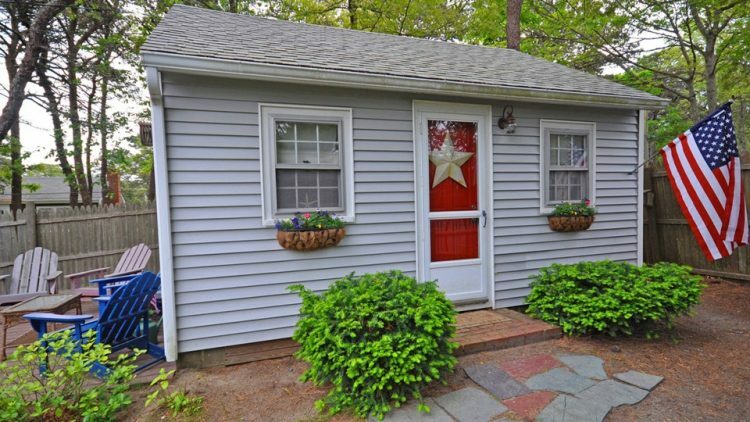 The good thing about this cape cod tiny house is that it does not need to take up so much space. 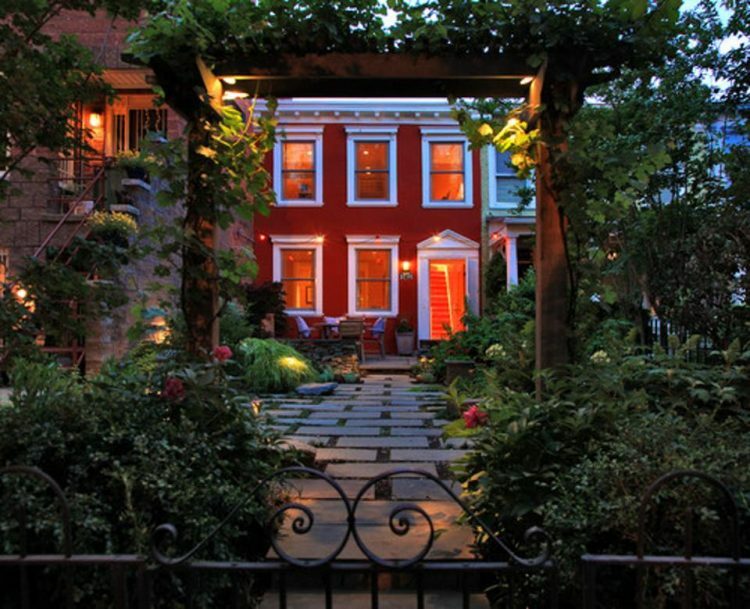 The design of this house reverts to its original one in the late 17th century. With only one door and two windows, this little grey house probably only has two bedrooms’ maximum and a bathroom. 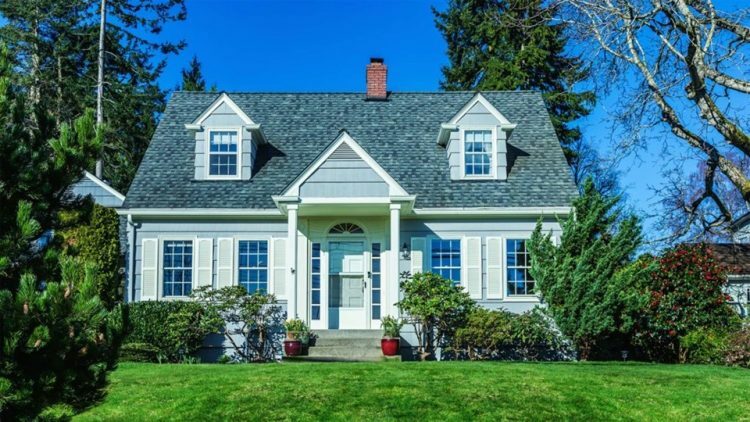 Whether you live alone, with a partner, or a child or two, this house is perfect for you. 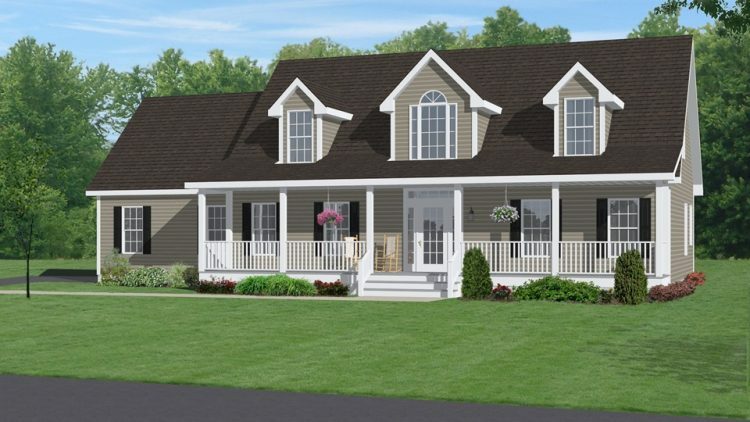 What if your cape cod house has 1.5 or two stories and you would like to have a bedroom upstairs? 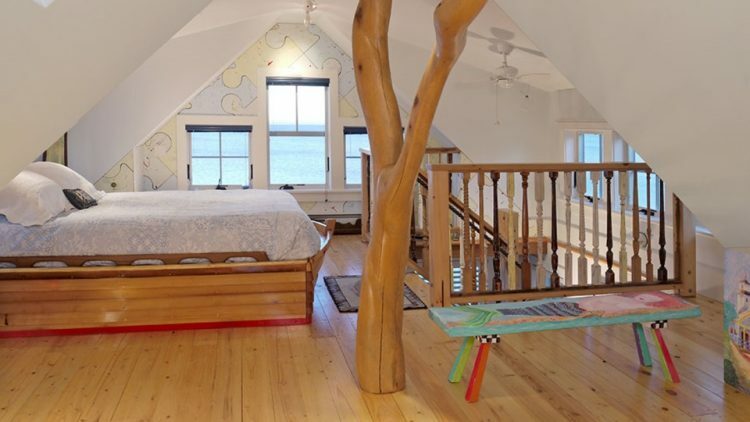 This picture shows one of the cape cod upstairs bedroom ideas that you can choose. Make the interior plain and simple with white walls, hardwood floor and furniture, but add white linens, dark army green pillows and bedcover. This bedroom is full of colours of nature. For your teenage kids, having a plain bedroom is possibly out of the question. You would like them to feel more comfortable and have their ideas regarding the decoration. 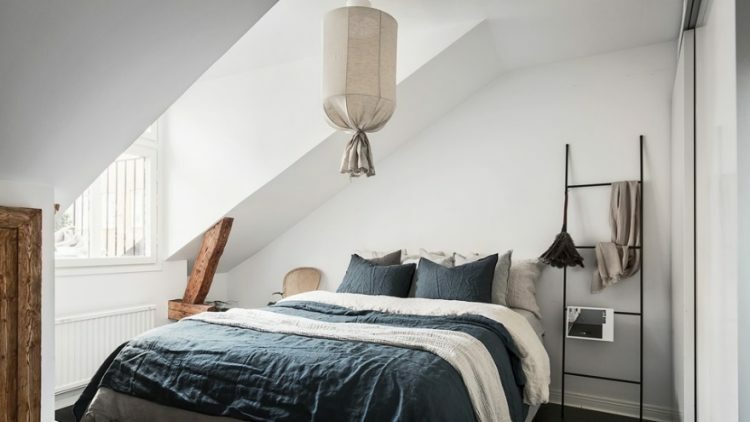 With one of the cape cod upstairs bedroom ideas like this one, they can have their unique style. This works wonders if they love fantasy tales, especially with the tree-branch decoration. 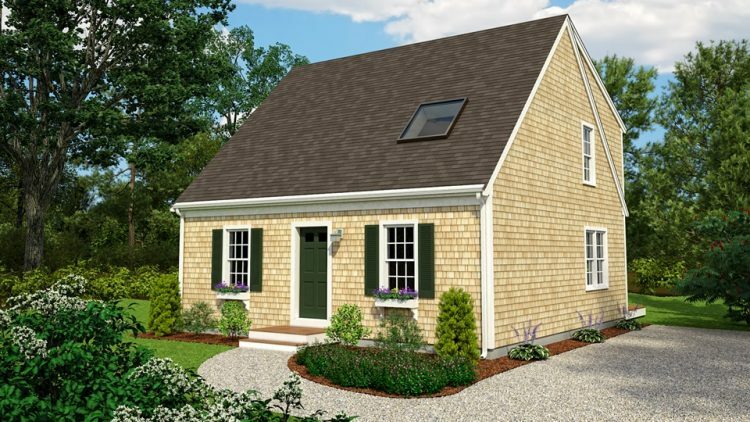 This is another small, cape cod house design that will make you feel like home. Compact and simple, this house consists of four different colours for its exterior: black for the rooftop, light brown or crimson made of limestone for the exterior, white outlines and for its window frames, and dark green door. You can either have it with a single story but a high ceiling or a 1.5 story. A skylight is a nice addition. 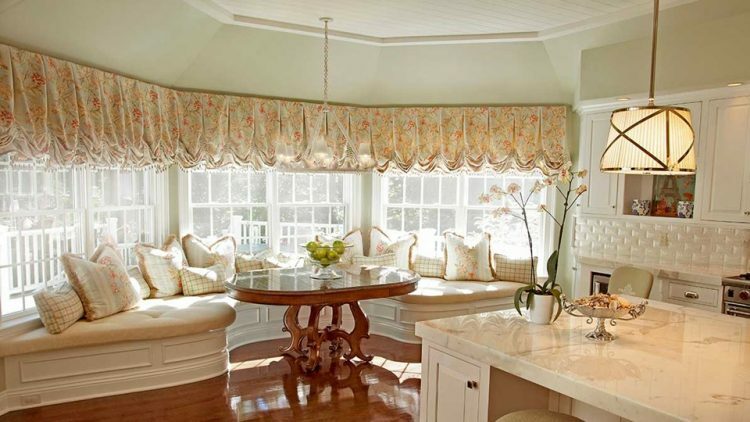 There are many designs regarding cape cod houses. Some of them follow the original kinds back in the 17th century, either for its effectiveness, maintenance, or budget wise. Most families with small numbers prefer this type of house. If the family have more members or just love inviting people over on holiday, they need bigger houses. This is the part when the old-fashioned style meets the modern cape cod house. After all, simplicity does not mean lack of space, since that will be a problem when you want to have more people over. 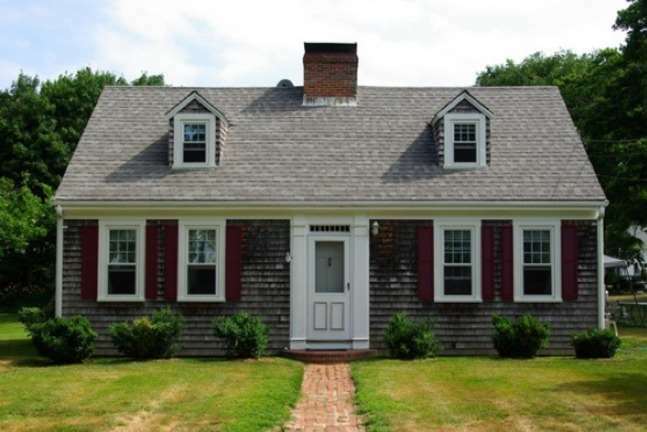 In the beginning, most cape cod houses were built as simple as possible. People were adapting their original English homes to the hard weather in the “New World”. The colours chosen for both the exterior and interior were mostly neutral, from white, black, brown, grey, and even dark green. Some parts were even left unpainted. However, in modern times like now, more and more people prefer varieties with other bright colours to make their houses much more comfortable to stay. 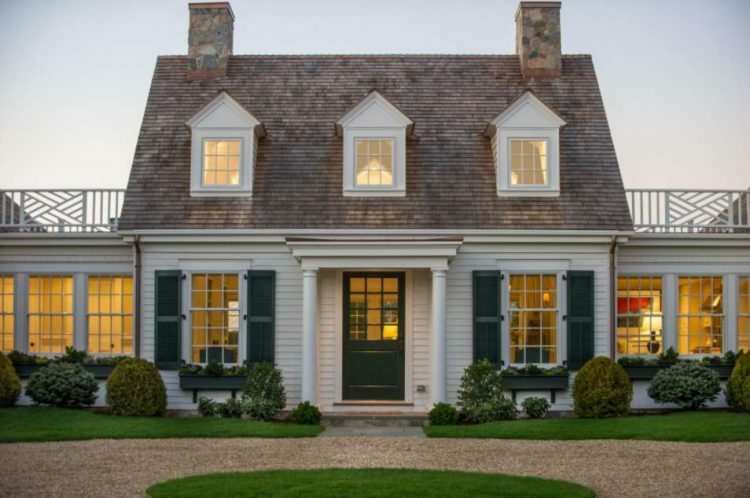 So, which cape cod houses would you prefer to live? Once again, it is all up to you. It depends on what you need. Are they primitive and vintage? Yes. 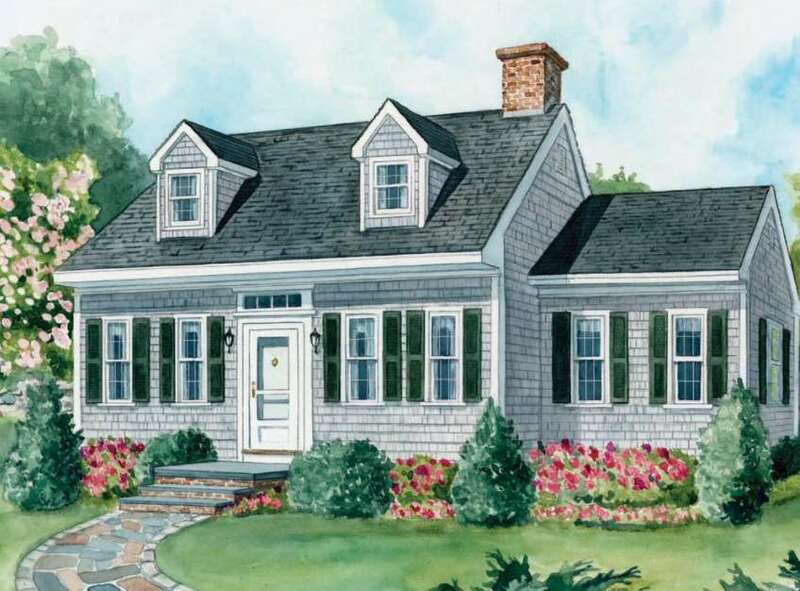 However, as simple as they may appear, the Cape Cod house style has stood the test of time. The scarcity of building materials and cruel weather conditions led to the development of these unique structures. Today, though with significant modifications, the Cape Cod houses remain to be one of the loved architectural designs in history. 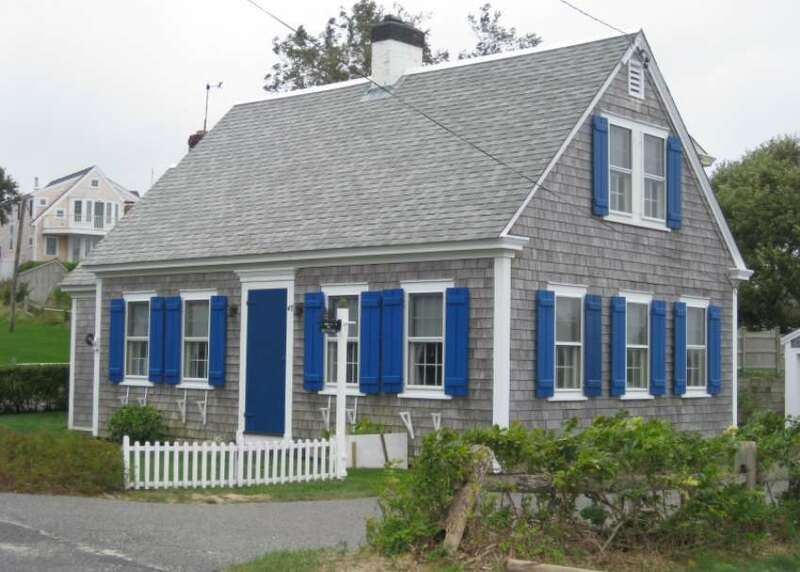 The Cape Cod house is old-fashioned, and compared to the modern day designs, the houses are a little bit outdated. But, with a few touches here and there you can create unique and elegant designs. The façade of the house is what gives your home a personality. Therefore, you need to focus your attention on the exterior part more precisely the entrance. Adding a bit of covering on the entrance of the house will not only create a welcoming tone but also protect the area from harsh weather. 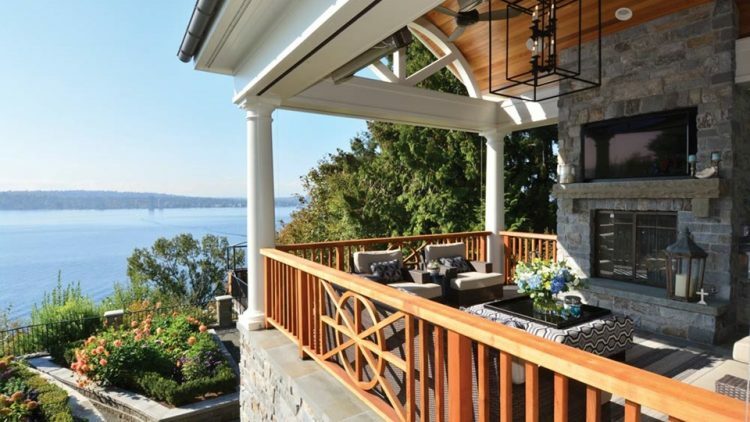 Covered patios and porches create appeal to the home. 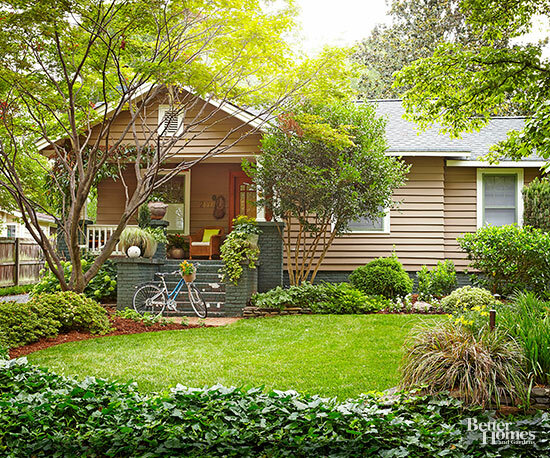 Pay close attention to the house design as it determines the size of the porch. 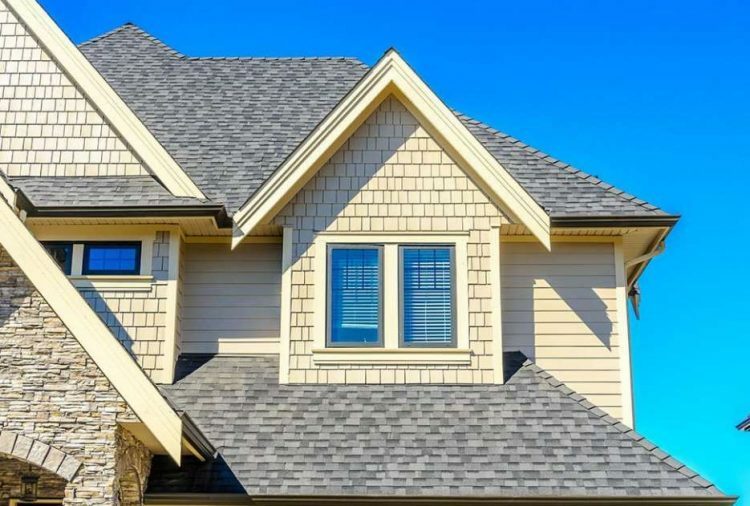 Dormers are distinct and unique features that create add a touch of class to the house. 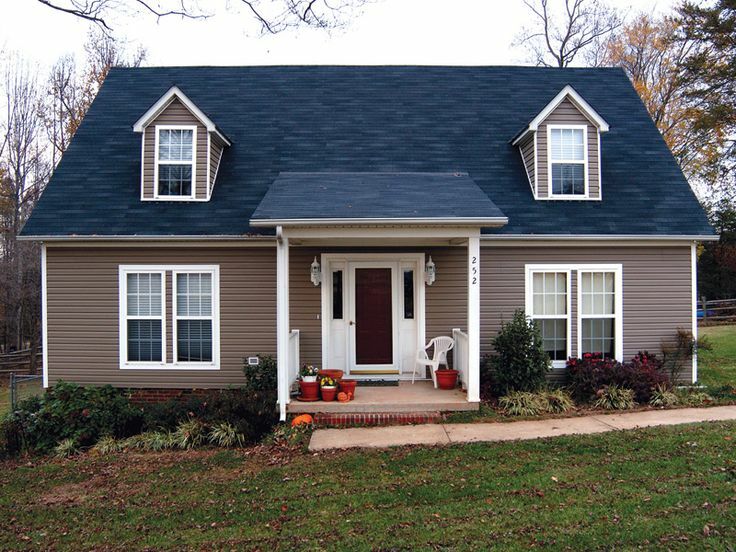 Installing dormers is costly; however, the benefits far outweigh the cons. Not only will you be adding natural lights to the house, but you will also utilize the available space on the roof. 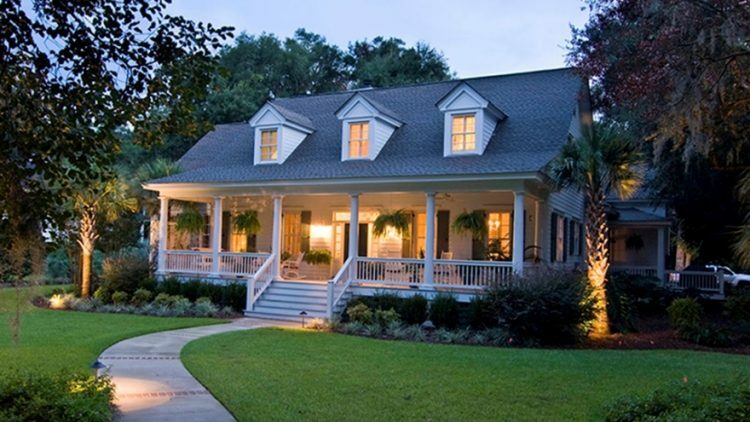 Adding light on the porch will reduce the monotony that comes with the Cape Cod houses. You can opt for the lantern designs that are retro but still elegant. The lanterns are available in a range of designs. 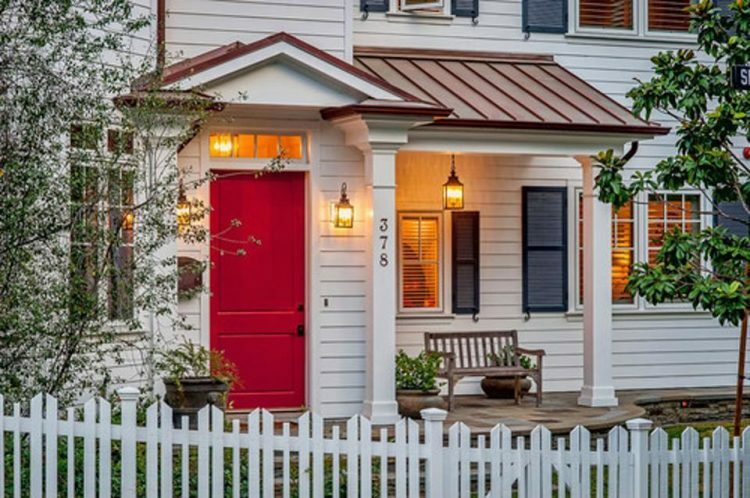 Consider your porch design and style when you are choosing the lantern. 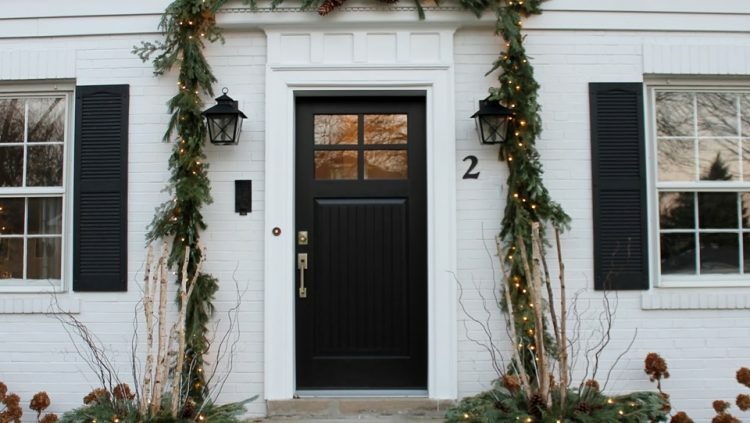 Do you know changing your front door can make all the difference in these colonial houses? Wooden doors are the best option. However, you can choose to use a door that incorporates both the wood and glass. Take your time to search for a door that matches your design. Create charm and elegance by planting an arbor at the gate. Mix the plants with roses or other flowers. You can also choose to add lighting on the gate to enhance the appearance. 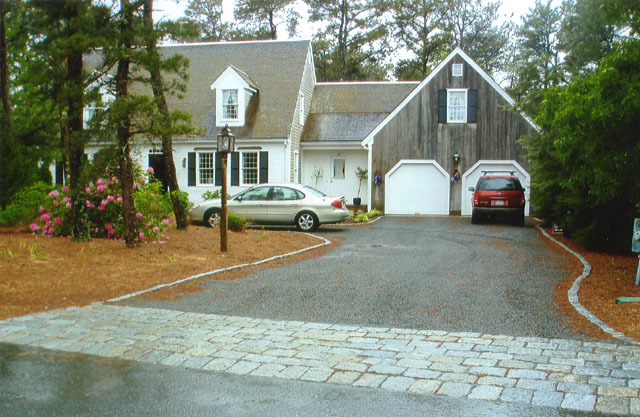 The driveway plays an important role when it comes to the general appearance of the house. Redoing the driveway will significantly improve the house’s appeal. Using durable materials like marble, concrete or bricks will increase the lifespan of your driveway. You can’t change the overall design of the garage, however, changing the doors will play a huge role in enhancing the look. Pay attention to your general theme and architecture when you are changing the doors. The fiberglass doors are the best option if you are looking for easy maintenance. The garage doors come in various styles. 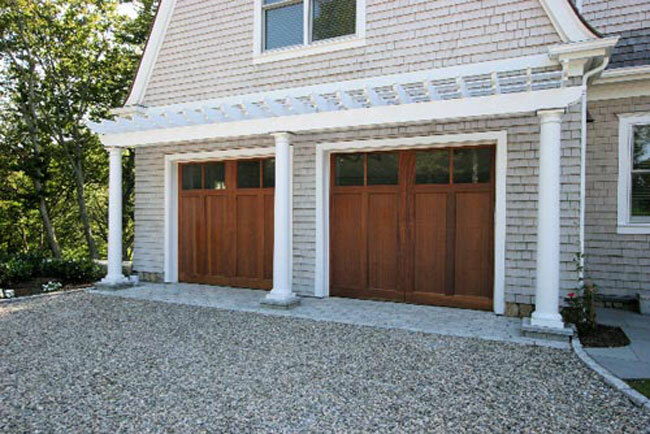 Wooden garage doors are also a great addition. It is essential for you to ensure that the doors are coated with polyurethane. The Cape Cod houses have a unique roof design that stands out from the majority of designs. However, as unique as the roof might be, it is crucial for you to buy roof designs that showcase your house theme. Many colors and designs are available, but blue roofs have been known to stand out. 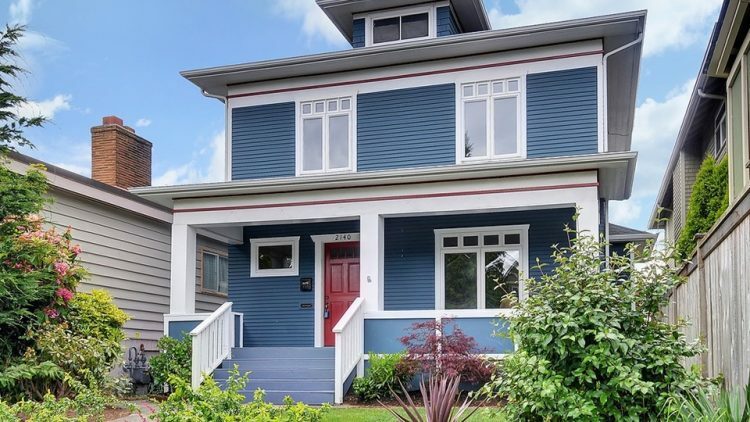 You can choose any shade of blue, just makes sure that it rhymes with the rest of the house design. Take your time to choose suitable colors scheme for your house as it determines the general mood of the house. Slate blue, grey and white have proven to be a great option. The colors will highlight the house features and create a sense of symmetry to the house. There is no specific order of placing the colors, however by cautiously applying the blue color at the front part will brighten up the area. Off-white and Cocoa color shades are silently elegant. You can add a touch of dark olive as it combines well with both cocoa and off-white. You can also choose to go for the basic colors, white, black and grey. The simplicity of these colors makes them houses to stand out. You can apply white on the side of the house, railings, and trims, while black look great on the gable thatched roof. Grey will stand out if applied on the metal part of the roof. Yellow, white and black is a rare combination, but one that creates a warm appearance. 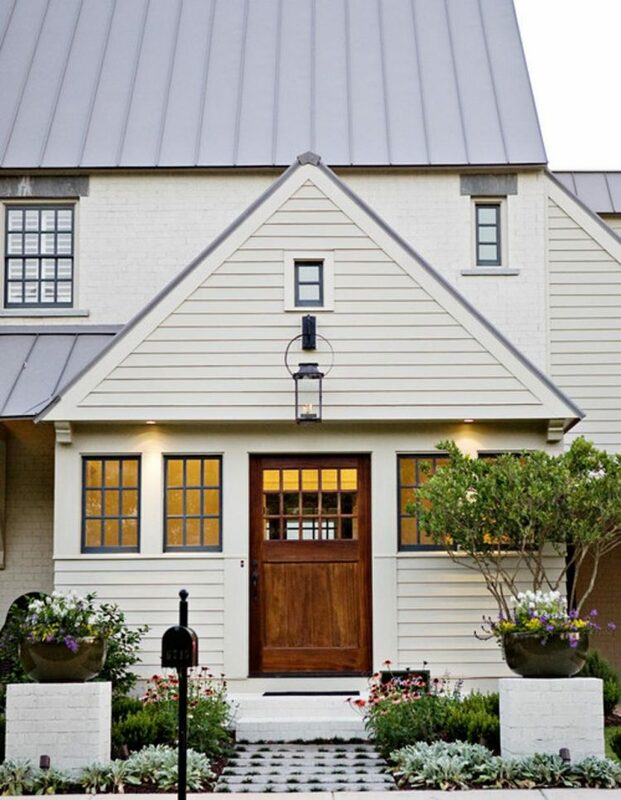 Paint the house yellow and complement the color with white accents and black roofs. You can also choose to paint the windows and door panes white, which will make them appear larger. Red-brown and white with a touch of green will create a luxurious look. Message as well as beam of light construction anchors the very early Cape to its central smokeshaft. 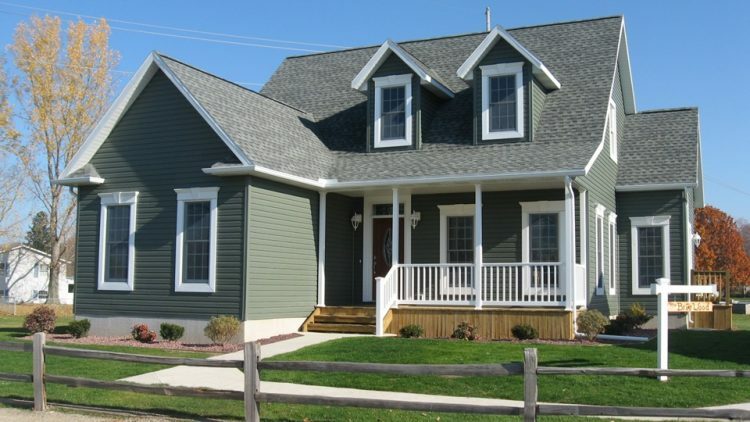 Characteristics of the Cape Cod Cottage. 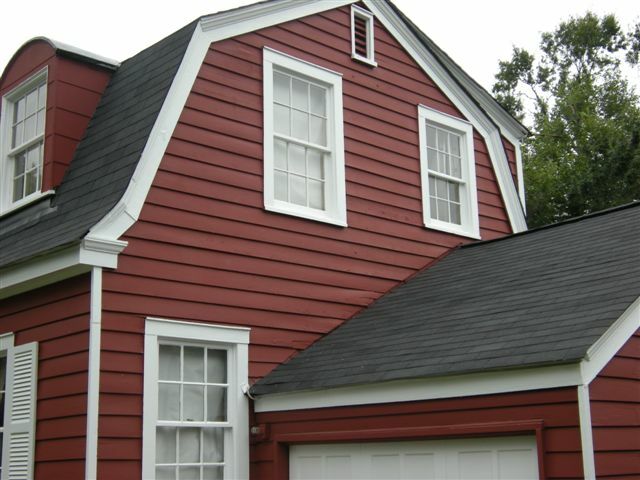 Steep roof covering: side-gabled, single pitch. Facility chimney; common in very early instances. Shingle-sided, and occasionally clapboarded on the front façade with shingles elsewhere. on examples had ascetic Greek Resurgence trim, as on lintels. Windows commonly go to the roofline in very early examples, attesting to the reduced ceiling height. Obviously the essential Cape Cod home, full Capes were actually rare in the 18th century. Those that existed come from one of the most achieved settlers. They have a high angled roof and a symmetrical five-bay appearance with a charitable entry door centered on the massive chimney. The starter house of its day, the half Cape usually progressed through subsequent enhancements right into a three-quarter Cape and on to a complete Cape as its occupants’ households and ton of moneys expanded. Nonetheless, instances continue to be throughout New England.